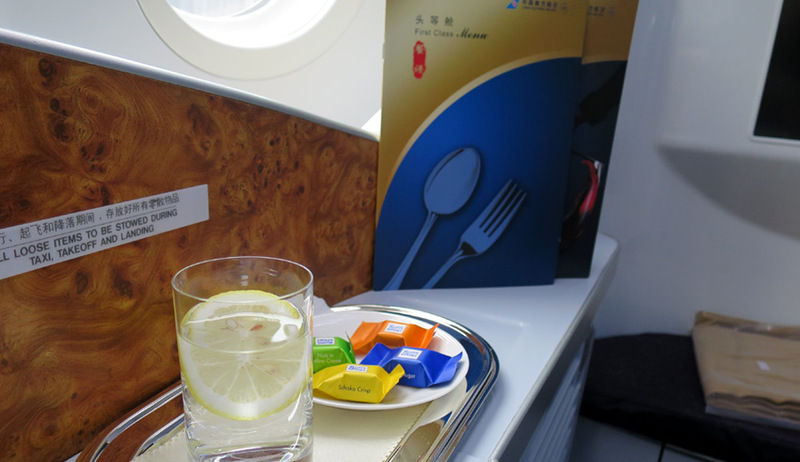 Guangzhou to London Heathrow in China Southern Airlines First Class. Guangzhou Baiyun International Airport is the home base for China Southern Airlines. A relatively modern airport, like so many in China it can be overcrowded at peak times, and a new terminal is currently under construction, due to open in 2 years. There is a premium First & Business class check in area, where staff were quick to issue the boarding pass, lounge details and FastTrack arrival card for London. A member of ground staff accompanies First Class customers to the lounge, and this is a nice, added bonus. 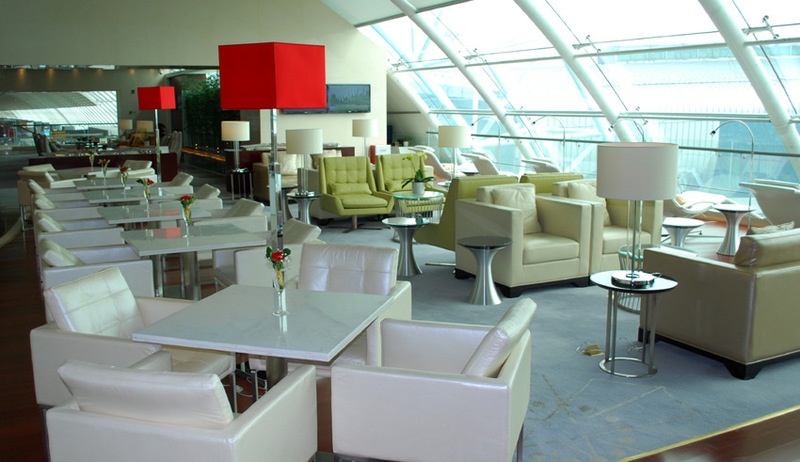 The lounge is easy to locate after clearing Immigration. Divided over 2 floors, the entrance level provides a large restaurant / dining area, and at breakfast time this was offering a good choice of hot western dishes, breads etc, as well as a live kitchen counter where the chef cooks noodle dishes. The upper floor has different areas of relaxed seating, including recliner chairs, and also has a small buffet and drinks counter area. There are some showers and washrooms on this level, and also a bedroom for longer stay use. The staff were friendly in the lounge and were keen to try their English language skills – some of course better than others. At time of boarding, a member of staff accompanied me to the boarding gate which was a 3-4 minute walk. Boeing 787 in First class cabin that was only 25% full. Business and Economy class cabins were completely full on this flight. A constant complaint I have is that the “dimmable window shades” which Boeing installed on the Boeing 787 are not very effective. On this long daytime flight, with maximum dimmer setting the shades do not keep the sunlight streaming in from being a nuisance when sleeping. China Southern Airlines First Class permits 3 x 23kg checked luggage and 2 x 5kg carry-on baggage items per customer. 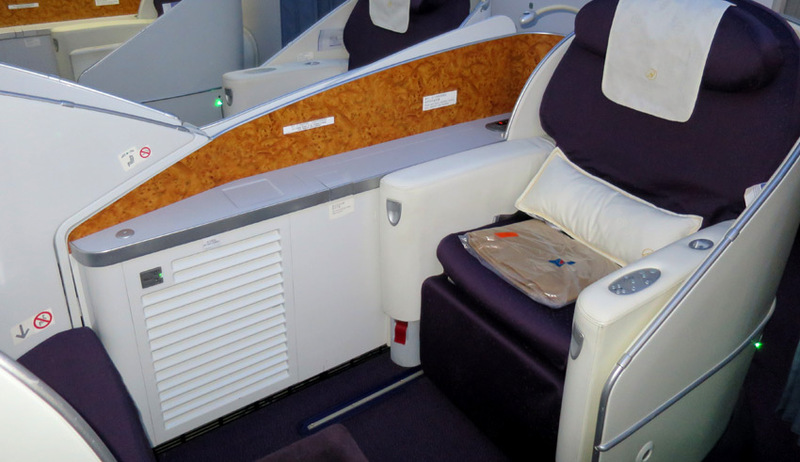 China Southern Airlines Boeing 787 first class cabin has 4 seats, arranged 1x2x1. These are nice flat bed seats, offering reasonable privacy. The controls offer a good range of adjustment for different seating positions, as well as the full flat bed. The IFE screen size is adequate, although quite small when compared to some of the latest IFE screen options available in airline first class cabins. The seat has a large ottoman / footrest area, under which there is a large storage drawer offering plenty of space for personal items, laptop etc. The cabin cleanliness and presentation was excellent on this quite new aircraft. The First class cabin on this Boeing 787 has 1 toilet located at the front. It is not the oversize toilet unit that some airlines offer, but is sufficiently large for changing one’s clothes. Presentation of the toilets was immaculate throughout the flight and the flight attendants will not let you in to use it until they have checked cleanliness for each customer. 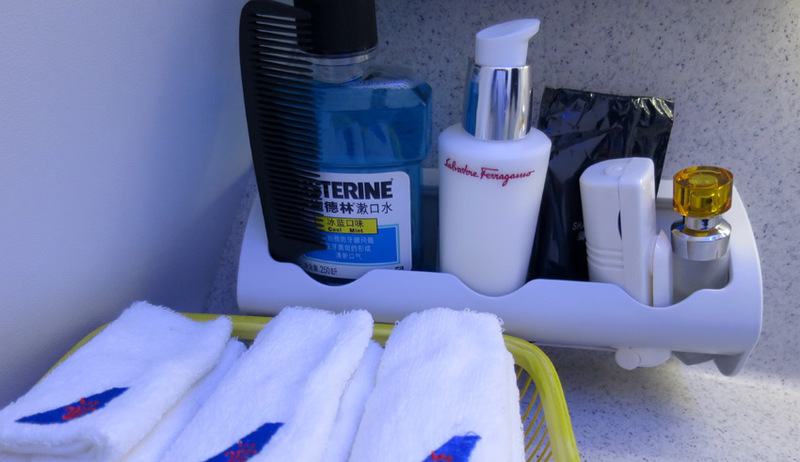 A selection of Salvatore Ferragamo amenities are provided in the washroom, plus cotton hand towels. The flight departed on schedule, and with a 12 hr 40 minutes flight time the arrival into London Heathrow was approx 15 minutes early. Boarding drinks are offered immediately after boarding and nicely served on an individual tray, with a selection of nuts or chocolates. The meal service for this flight offered a breakfast after departure and then a dinner before arrival into London. 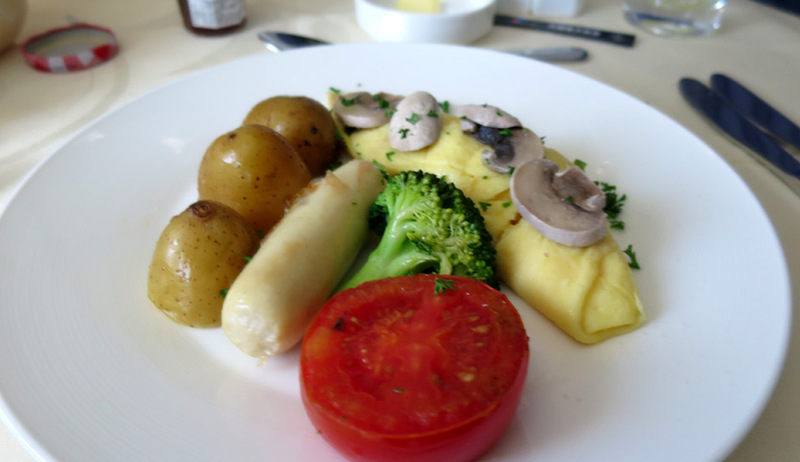 The western breakfast was good, with a basket or warmed breads and pastries, choices of cereal and yogurt, an omelette main course and fresh fruit plate to finish. A wide selection tea and coffee is available. The dinner service was extensive, and selecting the western option I enjoyed nice canapés, an appetiser, salad, main course, cheese, dessert and fresh fruit. Snacks are available on request through the flight if you so wish, and the wine list offers a nice choice of good quality wines. Food standards were generally quite good, and the staff do prepare and plate up the food course nicely. The IFE screen is of a reasonable size (not the largest by First class standards, but okay) and was good for viewing when seated or lying down. China Southern offer a fair selection of Hollywood, Chinese, European and other movies. There was a choice of fairly recent releases featured in the October 2015 programme. There are also western and Chinese TV series, dramas and other feature programmes. The noise cancelling headsets worked well and were quite comfortable. China Southern Airlines offer first class customers a fairly constant supply of hot and cold towels. They provide a large soft pillow, smaller bolster and an excellent duvet. Staff in First Class will make up your bed when you’re ready to sleep and lay a nice padded undersheet. Pyjamas are provided to First class customers, those offered by China Southern Airlines being some of the nicest I have found in First Class. The amenity kit contains Salvatore Ferragamo products, and whilst quite a small kit, it is adequate. The cabin staff were charming on this flight, being attentive and courteous throughout. They appeared to genuinely enjoy the work and looking after customers, and were much more proactive than other Asian airlines I have flown recently. They were attentive to safety, English language skills were good, and they were enthusiastic to have the opportunity to chat in English and improve their knowledge. This was a definite stand out feature of this trip. Arrival into Terminal 4 at Heathrow Airport was ahead of time. The arrival gate was close to the central immigration area of the terminal, and with hand luggage only, I was exiting the terminal just 9 minutes after the aircraft doors were opened. This was a good flight – as one expects when flying in First Class. A modern, clean Boeing 787 with a comfortable flat bed, nice comfort attributes and amenities, reasonable IFE, with attentive and friendly staff who spoke good English and good quality food and beverages. Arrived into London feeling refreshed and no real effects of jetlag. 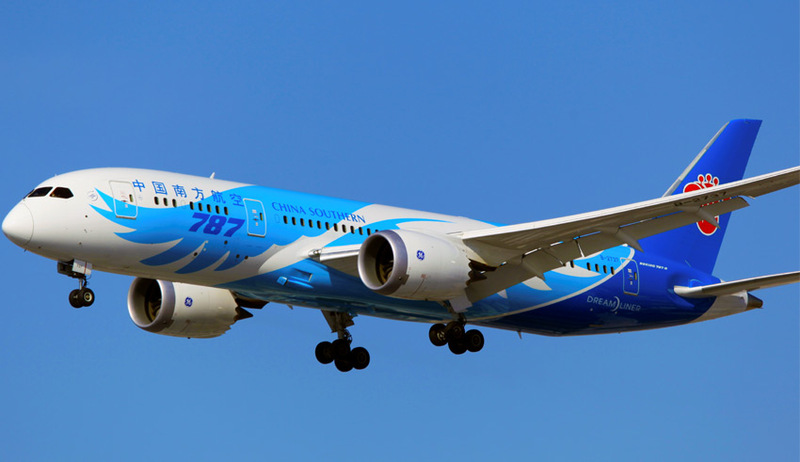 China Southern Airlines seem to have improved a lot in recent years and continue to expand their international flights.